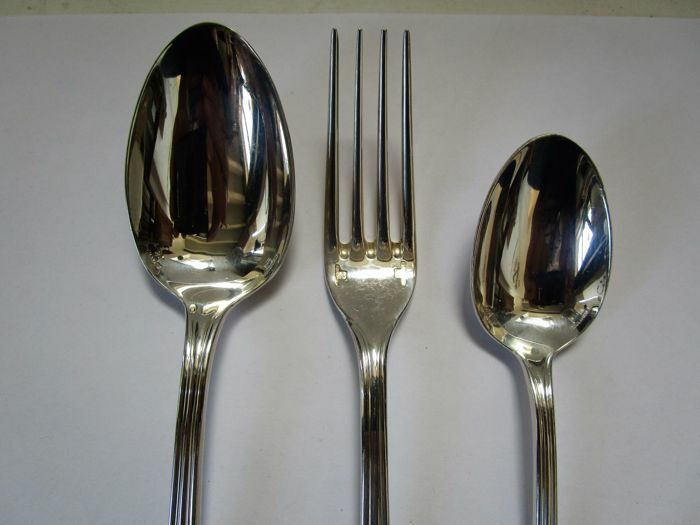 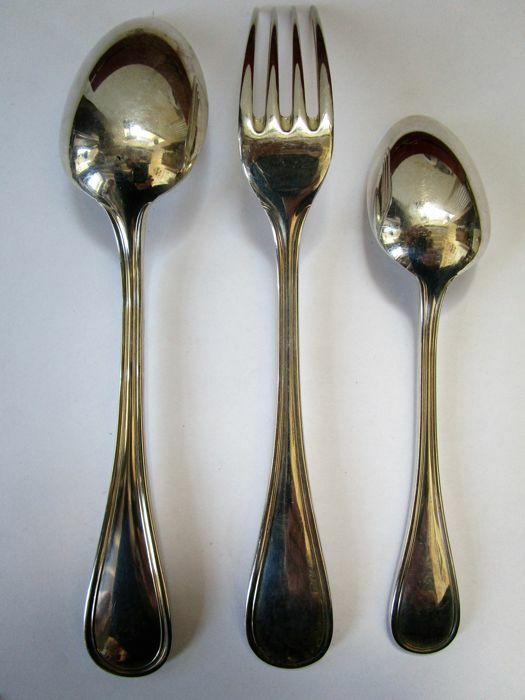 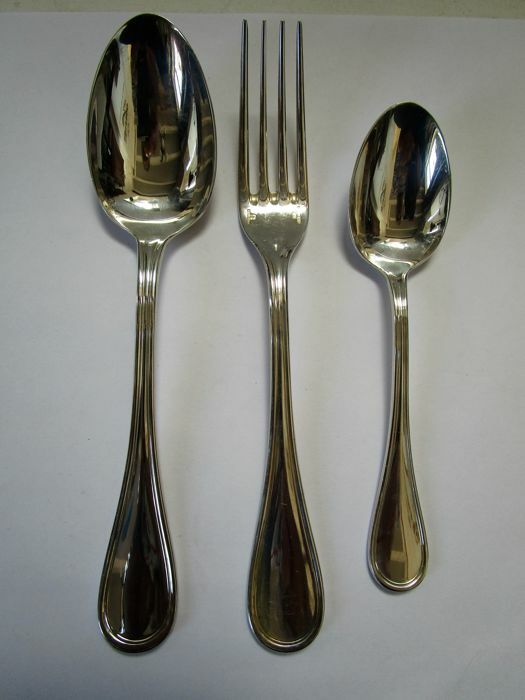 On offer: A 3-piece Christofle 'Albi 2' appetiser flatware set, consisting of a coffee spoon, an appetiser fork and an appetiser spoon in mint condition. 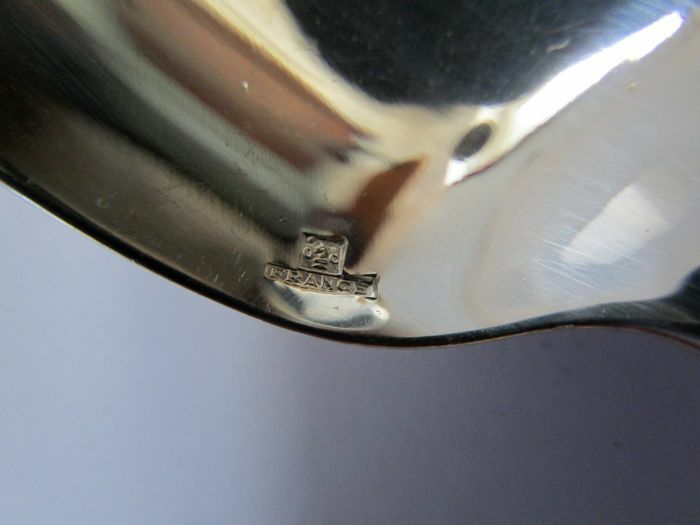 All pieces are hallmarked (see pictures 4, 5 and 6). 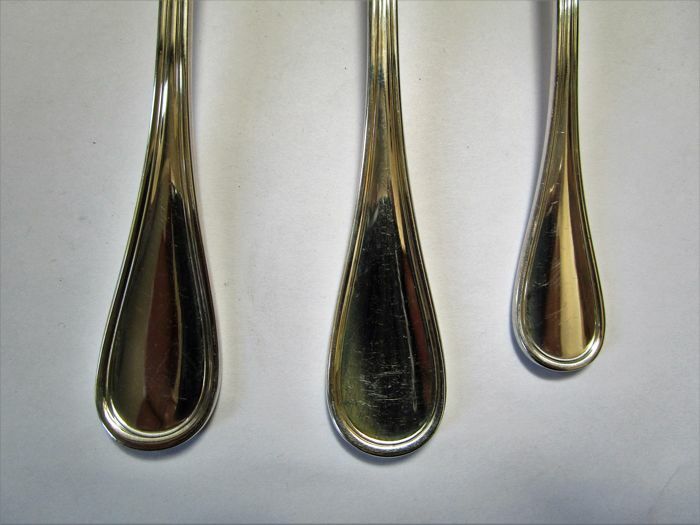 The coffee spoon is 17 cm long, the appetiser fork as well as the appetiser spoon are 17 cm long. 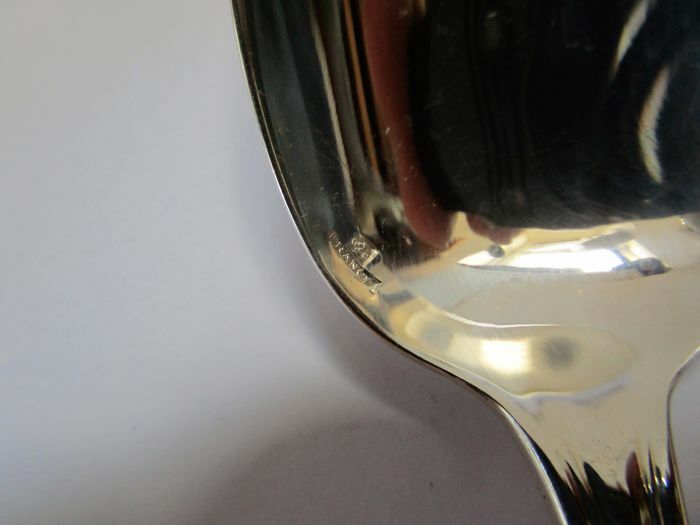 Insured and registered shipping costs €13. 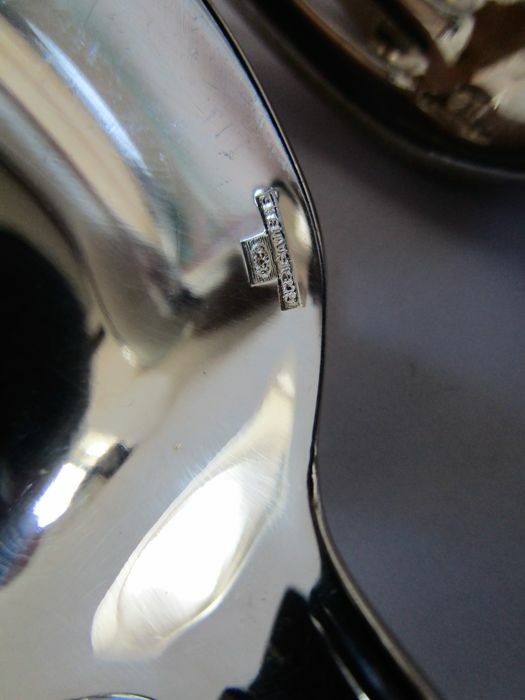 Puoi ritirare questo lotto direttamente presso il venditore: Herzogenrath (NRW), Germania.